Is all fair in love and war? It certainly seems that way in Adam Silorey’s sparkling adaptation of one of Shakespeare’s most beloved comedies. In a “classic battle of the sexes” that lasts a dazzling 90 minutes, Silorey has created a show that combines Shakespearean wit with modern sass. No stuffy Englishmen here! You’ll see cellphones smashed, aviators flashing, water-guns blazing, and derby hats flaunted. Quirky costumes and storybook music accent a spectacular performance by a cast of truly lovable characters. Will Petruchio tame his shrewish bride Katherina? Who will win the fair Bianca? With so many Italians running about, it’s hard to say whether Hortencio, Lucentio, Grumio, or Gremio will prevail! In the colorful city of Padua, will “such a life with such a wife,” prove too unmanageable? Will prejudice triumph over love “where two fires meet together?” In a glittering collage of masquerading tutors, raging wit, and laughable mishaps we find a light-hearted fairytale that asks some serious questions. I had the wonderful opportunity to view a dress rehearsal of the play and ask the director and leading actors a few questions. 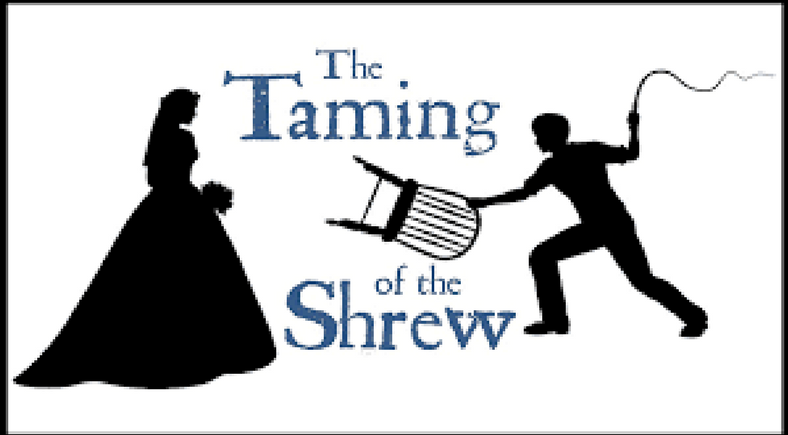 When asked why he chose The Taming of the Shrew for a 90 minute adaptation, director Adam Silorey said, “I wanted to throw Petruchio and Katherina in the wrestling ring and see what happened. Who will win? Is it wit? Is it strength? Is it love? Thankfully,” he concludes smiling, “it’s love.” It only took 17 rehearsals to bring to life the original adaptation by Silorey who calls this “storybook circus” version of Shakespeare’s comedy, “a whirlwind.” Silorey pointed out that The Taming of the Shrew has something for everyone. “I love the characters,” he said. “There is not one character in this play I don’t enjoy.” The cast of The Taming of the Shrew will have you laughing, nodding, and shaking your head at the numerous schemes and playful banter. Friday, Feb. 9 at 8:00 p.m.
Saturday, Feb. 10 at 2:30 p.m. & 8:00 p.m.
Sunday, Feb. 11 at 2:30 p.m.
For further performance and ticket information, please contact the box office at 757-352-4245. December 6, 2018 Renée Hogan Comments Off on Cafe Moka’s Holiday Menu: A Win-Win!